There are different ratios that are used in business. A current ratio is a formula that shows the relationship between what the business has payable, and what they have as liquidity. It may be easier to think of current liability as current payables. The current ratio shows if the company has enough potential cash to pay any debts that they owe. The current ratio is usually based off of a year and should be above or between 1-1.25, below this number would indicate that the business does not have enough cash to pay off its debts. The acid test ratio is a stripped down version of the current ratio. It uses the most liquid assets. Why does it use the most liquid assets? The acid test ratio uses liquid assets, such as cash, receivables and short term investments, as they can be turned into cash instantly to pay off debts. 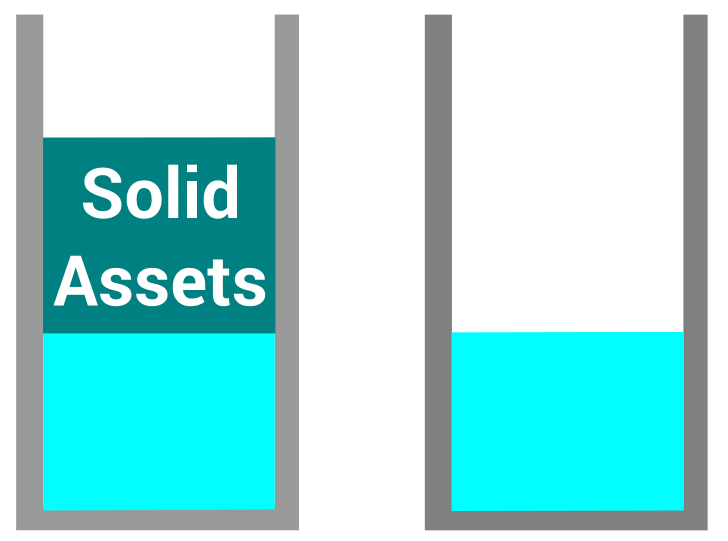 Liquidity Ratios are another planning tool that a company can use to ensure that they are liquid, this is particularly useful for companies such as a bank, where their main asset is money, they can be sure to maintain a constant positive ratio. A company that deals with large amounts of stock, such as a supermarket or online shop, may be able to have a poor acid ratio as they have plenty of assets that are liquid, and can usually sell as soon as they need to. The current and acid tests may be stored on a business balance sheet, which is a statement of the assets, liabilities and capital of a business at a particular point in time, It will detail the balance of income and expenditure over a given period and is sometimes presented in large business annual reports. The working capital cycle is a proportion of a businesses working capital that is used to allow a business to operate normally, it is the funds required by a business in order to continue trading efficiently. 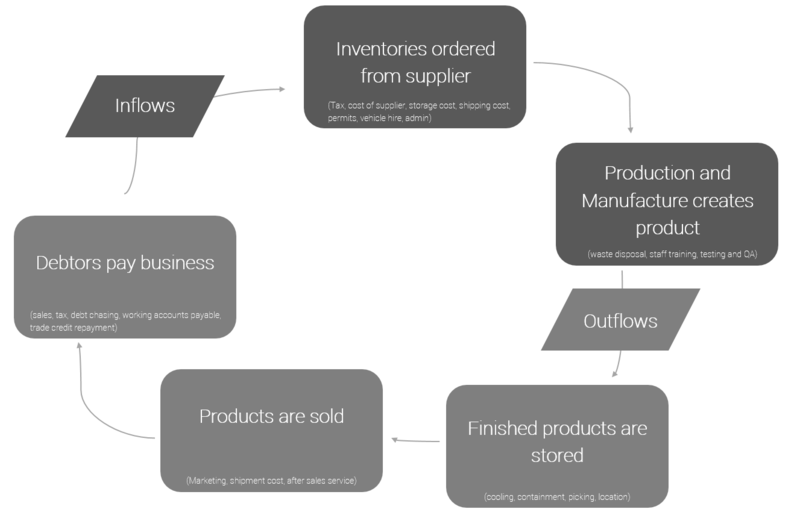 Without a business being able to calculate how much working capital it needs in order to operate, then it may find it hard to continue to function, the working capital cycle involves anything from inventory and supplies, to production and storage. Without proper working capital, it could lead to business failure. The working cycle has limited use as a single planning tool, however when combined with multiple tools, it can provide a very powerful overview of what a business works with month, to month. Just because a business has inflows of $1m each month, it does not mean that they make $1m profit. The working capital cycle will also allow a company to identify any ways of keeping a positive cash flow through better trade terms as well. Each ‘stage’ of the capital cycle has multiple costs associated with it. Just because a product needs to be stored, does not mean it has not cost, there may be refrigeration cost, it could be perishable, it may need a security guard to look after the facility, the lights and electricity around the building all need to be paid for. It is important that a customer receives the product as soon as it is made, as it means that overall there is less cost associated with the product, additionally for products like clothing and fashion accessories or technology, the longer it is stored could also mean that its value is decreased as it goes out of fashion. Over trading could also mean that a company may not be able to pay for the process to be completed using its normal working capital and may have to secure new funds for the time being until the debt is paid after they have sold the product. Sales Forecasts are charts and graphs, equations and educated predictions that allow businesses to predict future sales with a degree of accuracy. Consumer Trends – People being proud of bargains and discounts. sales forecasts become harder to predict when consumerism changes. Economic Variables – Recessions, Booms and Recovery. Competitors Actions – loss leaders and pricing strategy may try to undercut you. Digital Music for example, as become harder to predict as people have found new ways to obtain it illegally. Fashion Items have an unpredictable life span. 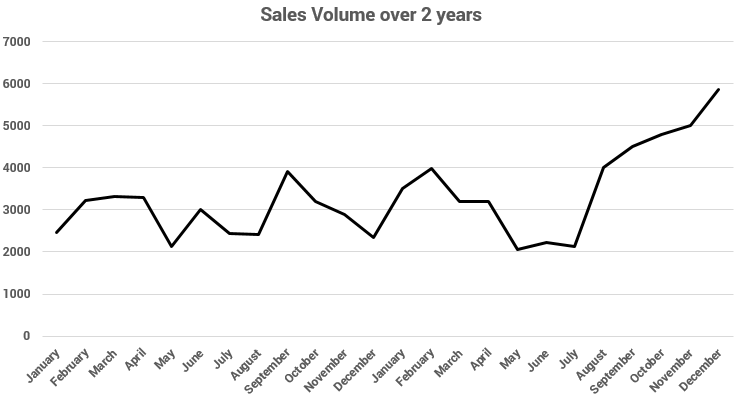 Using sales forecasts may be useful but having data that is unreliable could mean that the forecast is not accurate. Making forecasts that are too long into the future could be considered extrapolation. Extrapolation is cheap, although inefficient it gives a fixed perspective of what to expect which is better than nothing. That must be paid before you consider any additional finance as liquid that you can spend on anything. Additionally when a business is in liquidation whereby they have had to cease trading there is still things that have to be paid off, and unfortunately for some employees, this may be unfair as it could mean a business cannot afford to pay them because they do not have the funds. The Tax Office must be paid, to cover the business from litigation. Shareholders must be paid dividends and the value of their shares. Employees must be paid their wages. An Income Statement – Measures the business performance over a period of time, and may allow them to determine where forecasting was over-optimistic. It shows a companys revenue and total spending over a given period of time. A Statement of Financial position is a snapshot of the business assets. A Cash flow statement shows cash flow sources over a given period of time. It shows exactly how much a business has received and spent.